The first cowboys in Texas pre-dated the U.S. Civil War by many, many years. Long before the 1830s, in the area we now call the State of Texas, Mexican cowboys known as vaqueros worked with cattle. The Bullock Museum tells us: “Vaqueros owned their horses, saddles, and ropes and what they did with them would shape the history of Texas ranching.” James Walker (1819-1889), an English artist who also worked in America, painted this scene of a Mexican vaqueros roping a steer, circa 1830s. Click on the public-domain image for a better view. Between 1867 and 1887, people in America moved west. The Civil War was finally over, the South was being “reconstructed” and there was “free land”—for some people—available in America’s vast-and-open western spaces. Who were the western-movers ... those individuals who picked-up stakes to begin new lives in areas west of the Mississippi and Missouri Rivers? Civil-War soldiers, from both sides, also moved West. Because of their battle experience, these men knew how to use guns. Black men from the South, who were slaves at the beginning of 1865, were free men before the end of that year. The 13th Amendment, which was ratified on December 6th, guaranteed they would never be slaves again. Some of those men headed west, too. Among the possible jobs, for migrating westerners, was work as a cowboy. Why was that? Centuries before the Civil War, European settlers—particularly Spaniards—brought cattle to the “New World.” At first those cattle were more important for their hides and tallow than for their meat. By the time of the War Between the States, however, cattle in Texas and Florida were important food sources for the Confederacy. 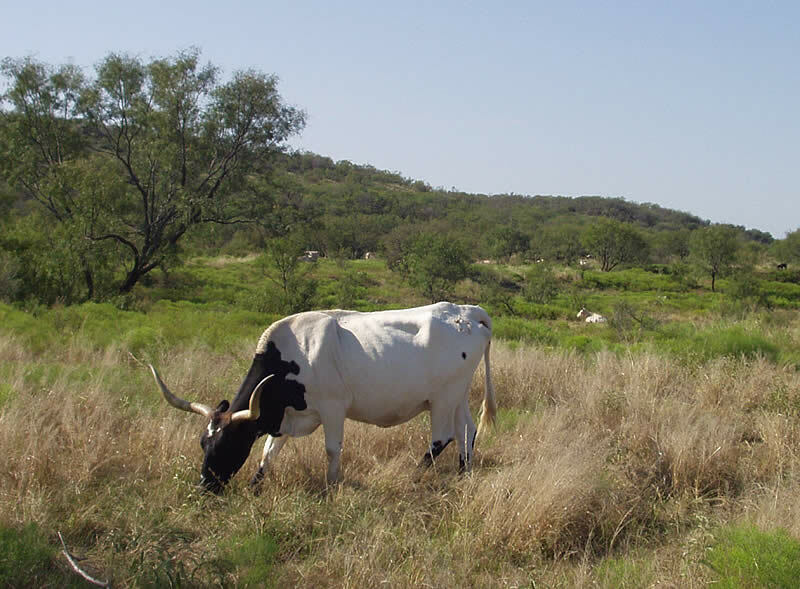 Some Texans, who left their homes to fight for the South, let their cattle “roam free” during the war years. By mid-1865, those freely roaming cattle had multiplied into huge herds. There wasn’t much of a market for 5 million head of stranded cattle in the economically crippled South. In the industrialized North, however, people were more than slightly interested in purchasing the meat. But ... how would the owners of millions of Longhorns get their cattle to buyers in the North? Enter ... the cowboys. Bos, Carole "CATTLE in the OLD WEST" AwesomeStories.com. Feb 18, 2015. Apr 20, 2019. Lassoing and Branding Calves in "The Old West"